Battling through the winter – Flux. Apparently, this week, the first snow has reached big cities like Paris and New York; a pleasure we have been able to enjoy here in Finland for a few weeks already. ThisDecember has been exceptionally cold and with the temperature hitting -17 Celcius almost every single day this past week, it has been essential to dress very warm and wear shoes that won’t slip on the icy pavements. For three years now my best weapon for the winter has been this woollen H&M peacoat, and even though H&M is not one of those places I shop on a regular basis, this coat has truly been worth every single penny. It’s shaped like a traditional peacoat but has interesting details on the chimney collar, shoulder, and sleeve area, making it look like an updated version of the classic militaristic model. Unfortunately I lost the collar strap when we moved, with that it would look ten times better. You know, it’s actually a tough job to maintain your personal style during the winter time but luckily, there are some ways of managing it. Layering has been my key to stay both warm and presentable when the times get tough and the temperature hits below zero. My grey knit dress and wollen tights (must stock upon those next time I’m in Berlin!) from COS have been fulfilling their duty exceptionally, as well as the Ann Demeulemeester boots which I hardly take off my feet anymore. However, I did get the winter soles done at the local cobbler, not only to protect against slipping but they’re also a good way to protect the designer shoes from wearing off. The circle scarf I’ve borrowed from the more handsome half of our household, and I might not return it until I aquire one of my own (sorry, darling). Now I’m off to crawling underneath the blankets with some hot tea, so enjoy your Sunday and stay warm! your coat is sooo beautiful!!! I love the dark silhouettes in this picture. Esp. the cowl neck sweaterdress, the coat and the bag. 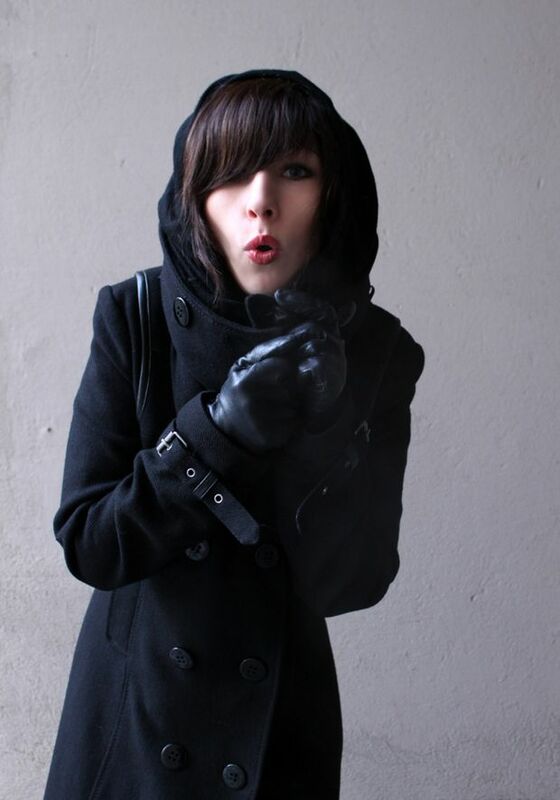 I dress very similar during the winter months. layering is the way to go to keep warm and in style. I have a question about your bag. I am considering buying on myself, and I was wondering if the top part has a zipper or snap to keep it closed? I'm really paranoid about people reaching into my bag on the subway and such..
Maria: Thanks! I'm happy you feel that way!Georgia: Thank you. 🙂 The circle scarfs are truly pure magic! I usually don't like wearing beanies as much (except really lose bum beanies because the tight ones tend to give me hat hair), so the circle scarf keeps my hair as it is and still keeps me warm. :DAnonymous: Otan tuon kehuna ja sanon, että toivottavasti! :) Olen yrittänyt kuntoilla koko syksyn, joten on ihan mahtavaa, että edes joku huomaa sen tulokset. :)Fuksjanna: Thank you so much! Black is my best friend..Dea: Thanks! I still can't believe my luck with these boots…Kingaaaa: Thanks! Sometimes H&M surprises you…Anonymous: Voisihan tuon tietysti tehdä, mutta temppu on aika simppeli. 🙂 Tarvitset sellaisen ympyrähuivin (esim. American Apparelilla ja Ginassa on vastaavia, omani on All Saintsin) ja laitat sen pääsi päälle ympyränä (ns hupuksi), niin, että se alaosa roikkuu ensin löysästi rinnan kohdalla. Sitten vaan taitat sen roikkuvan alaosan ja kiepautat sen kaulasi ympärille huiviosaksi. 🙂 Sama toimii myös tavallisen leveän huivin kanssa, mutta kiedot vaan ne roikkuvat osat kaulasi ympärille, kuten normaali huivi kiedotaan. :)Arushi Khosla: Thank you. 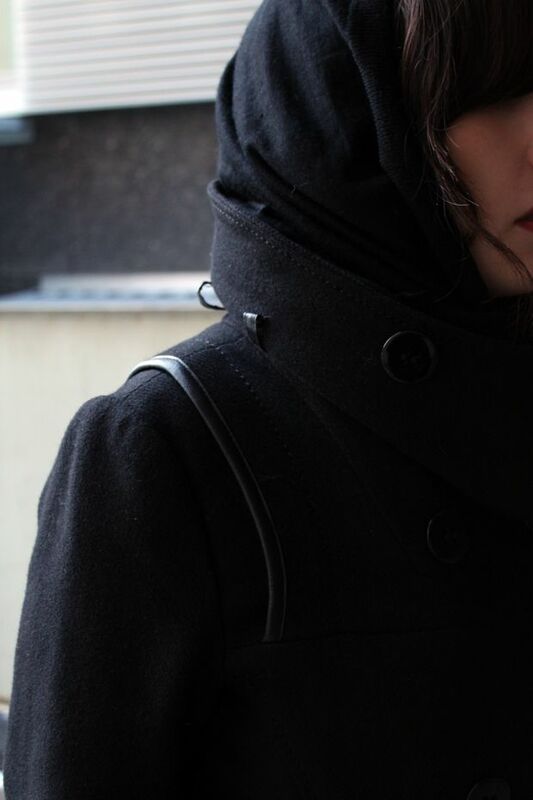 🙂 I really love dark silhouettes with drapy garments.Snapandprint: Layering is the key during winter!Pauline: That's probably the only bad thing about the bag that when worn "open" the top part is open. The opening is quite tight though and I haven't had any problems with it (you can carry it by hand too). You can always sew some velcro or snap fastener to keep it closed, if it bugs you. I guess they meant it to be worn folded over but I like to wear it open like this, so that it fits more stuff in it (such as my mini laptop). I love how versatile the bag is because you really have two in one: a normal bag and a clutch in one. 🙂 P.S. It's made really well! You are looking so stylish and so pretty…I just love it.I guess you are very much conscious about ongoing clothing styles. I wanna suggest you modelagentur a very nice site for latest happening in fashion. Your make-up is wonderful! Just like the outfit! I like your scarf. It strikes to me as functional and warm, and that's what counts during the cold winter.